Apple reports a breakdown of its employees by gender and race to the federal government every year, and its recently released 2015 diversity figures show the company is improving, but its staff is still largely white and male. 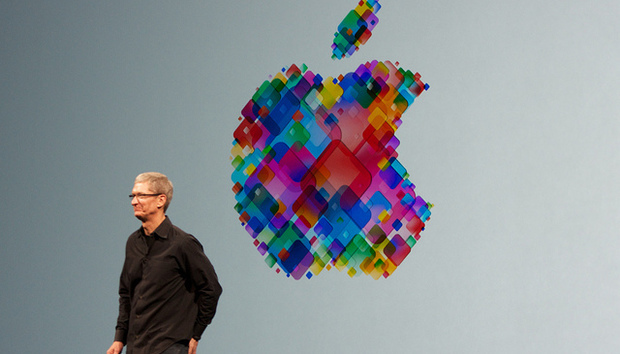 Apple is now 69 percent male and 31 percent female, a change of 1 percent in favor of women over 2014. The percentage of white employees also shifted downward, from 55 percent to 54 percent of the total company. Apple is now 18 percent Asian, up from 15 percent, and 8 percent black, up from 7 percent. The company said this year’s new hires are more diverse than ever before, at 35 percent woman globally, and in the U.S. 19 percent of new employees were Asian, 13 percent Hispanic, and 11 percent black. Apple is slowly becoming a more diverse company, as its 2015 data shows. The company’s leadership is still overwhelmingly white and male—72 percent of the company’s managers are men, and 63 percent are white. Apple prefers to use its own metrics rather than the Equal Opportunity Employment stats collected by the government. The story behind the story: It’s not exactly clear how Apple’s internal metrics differ from the ones used by the government for the EEO–1 report, though Apple’s own numbers paint the company in a better light. The EEO–1 document is useful for comparison of tech companies overall, where Apple is doing a better job at boosting diversity than Facebook and Google, but not faring as well as Yahoo. Also of note: Apple’s board of directors just recommended against a shareholder proposal for investors to increase the diversity of the company’s C-suite and its board.